1. No ice in your Superfood Smoothies! Ice needs to leave our smoothies. When we drink a cold beverage it freezes our organs and freezes our stomach’s ability to digest nutrients. Instead of focusing on digesting foods and nutrients, our body has to focus on bringing it back to homeostasis which is the most important function for our internal system. The way to combat this is by adding frozen berries which are going to keep the smoothie from being lukewarm yet at the same time chilled and refreshing. You may want to add a table spoon of oil to your smoothie. Oil is an emulsifier and will assist you in absorbing the nutrients in the smoothie. It’s best to use oil in its natural state so if you’re using coconut oil and it is solidified, you want to heat it up first. Taste your oils first because some oils have a flavor you might not like. Grapeseed oil, olive oil, coconut oil, hemp oil, flax seed oil, these are all oils you can use. *Note: Beware of oil when sugar or fruit is present. Sugar wants to absorb directly into the cell. Oil can inhibit the absorption of sugar and overgrowth of yeast and bacteria can grow or ferment on the outside of the cell. 3. 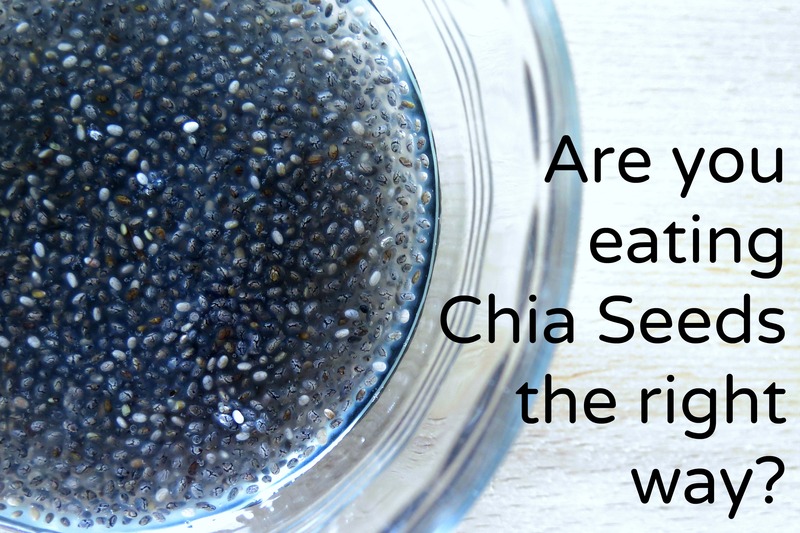 Soak your chia seeds! Don’t have time to wait around for 15 minutes? You can either soak your chia seeds over night or first thing in the morning. First thing you do in the morning, before you even start making your smoothie, is soak your chia seeds so that by the time you are ready to blend things up they are ready too. 4. Use a low sugar nut milk as your base. Sugar creeps up on us everywhere so if you’re going for a low sugar smoothie, you don’t want to use juice because that has too much sugar in it. Instead, use half water and half nut milk as a base foundation. You can use flax milk, hemp, almond, or whatever other nut milk you choose to use. Make sure that if you are trying to go for a low sugar base check the ingredient label because sometimes sugar is added to nut milks found in the grocery store if you’re not making your own. Be present when you’re purchasing your nut milk and know how much sugar is in your nut milk. If you’re going for sweetness you want to use either a raw honey, grade AA maple syrup or dates. Stevia is also a good choice if you really want to cut back. Don’t go crazy because even though it’s good for you it’s still sugar and you want to consume as little as possible. 6. Use a raw organic vegan protein powder. Preferably sprouted brown rice protein. We recommend using Medicinal Foods Living Greens Blend and the Cacao Elixir. They make a great combination. 7. We want organic non-GMO berries. Whether frozen or fresh it is extremely important to use organic ingredients for your body. 8. If you want to try cutting out sugars replace a banana with an avocado. 9. Lastly, it is also important to know your ingredients and how much to put in your smoothie. If you put too much or too little you won’t get the benefits. So again, know your ingredients and know your measurements. It’s not the more the merrier. Could you elaborate on #9? Is this recommendation referring to the ratio of nutrients within the smoothie, or the total quantity of each ingredient you consume in the smoothie? Also, can you give a specific example of what might be too much, and of what might be too little, and which ingredients it’s most critical to watch this with?